It has been an exciting week for those of us who worked so hard over the past two years to produce The Smartest Team: Making High School Football Safer. After kicking off with our premiere on Oklahoma Educational Television (OETA - PBS) in August, and with stations in North Carolina and Colorado having aired the documentary in September, the beginning of October marks the first full week of broadcasts on PBS stations in more than ten states. The buzz about the PBS documentary, "The Smartest Team," has been overwhelmingly positive, but some appear to be working overtime, on Twitter, through a whisper campaign, and via other back-channel means, to cripple MomsTEAM's ability to get its message out. Brooke de Lench explains. 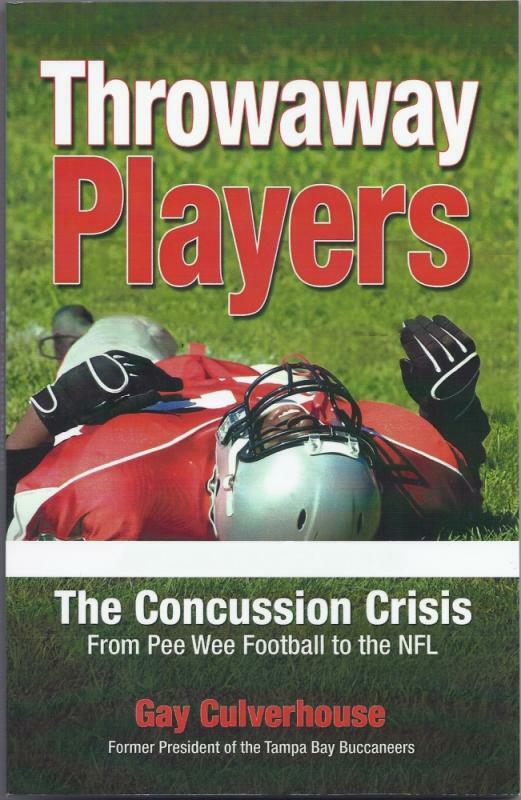 There has been a flurry of books in recent years about concussions in sports, an issue MomsTeam and I began covering in depth back in 2001, way before the crisis grabbed the attention of the media, politicians and the sports establishment. So, when I received a review copy of Throwaway Players: The Concussion Crisis from Pee Wee Football to the NFL by Gay Culverhouse, I was a bit skeptical that it could add anything new to the discussion. I couldn't have been more wrong! I loved this book! Throwaway Players: The Concussion Crisis from Pee Wee Football to the NFL by Gay Culverhouse offers an oftentimes painfully honest, up-close-and-personal glimpse into a world of concussions.